Promoting a healthy lifestyle by incorporating the many benefits of massage therapy. 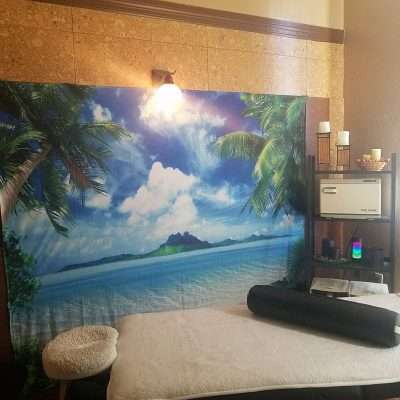 Want a relaxing and therapeutic massage? Book your specialized massage with Tim Curtis today! Learn more about our specialized services. I have been a regular client of Tim’s for a few months now. Every time I go I know I will be walking out fully relaxed. Since becoming a regular he’s really good at pinpointing my problem areas and helping me to get the most relief possible. I work on computers for long hours each day and my muscles tend to be very stiff. Tim is really good about helping to relieve the kinks and loosen up those spots. His massages have become a bit of a necessity and I can’t stay away for long. If you visit him you will not be disappointed! Tim was amazing! His massage is just heavenly! Tim Curtis Lmt Has The Best Massages Ever ❤ ? I would like to recognize Tim Curtiss, LMT, for an exceptional massage experience last evening. I had been having some intense lower back and should pains which I acknowledged to him for my reason for coming in. He noted my areas of contact and provided a full body massage with emphasis in those area. I felt that he ‘listened’ to my concerns and addressed them with the massage therapy focus. He maintained a very quiet and relaxed environment to allow me time to embrace the relaxation to be rendered through my therapy session, without distraction. Today, a day after, I can feel the release of the tension and the positive impact of my session last night. Much gratitude for a session well served thanks to Tim. To only think that I almost thought to cancel my session for the day because I was ‘too busy’. Now, I am so glad that I was still able to get the therapy session included in my day. Tim my therapist for the evening, opened the session with a smile and directed attention to my interest and points of attack for the massage. He questioned my level of comfort for pressure. He was very thorough in addressing my point of contact for my shoulders and lower back. I felt comfortable during the massage. He did not interject excessive conversation but allow the massage and the music to allow me to relax in the moment.